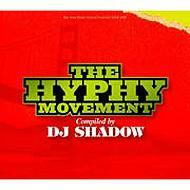 3 "The Bay (Hyphy Rmx):Zion I Featuring Clyde Carson, Turf Talk, San Quinn, And Casual"
8 "3 Freaks (Droop-E Remix):Dj Shadow Feat. Mistah F.A.B., Turf Talk, Keak Da Sneak"
yea much better than former one of DJ M, i think... can't wait to see his show! !